The GT shares more than its under pinnings with the 147 GTA, the wings and bonnets are the same parts! Stop-gap cars, rushed into production to replace a fast-ageing model or fill a big time interval between one launch and another, are rare things these days. One of the most famous was the original Land Rover, hurried into production with a high aluminium content because steel was in short supply after WWII, while the Morris Marina is among the most infamous, this poorly developed car sped to market in just three years because BMC was too blind to see that it might need to replace the ancient Morris Oxford. These days, car manufacturers tend to be much savvier with their product replacement cycles, giving themselves something new to shout about at least every 18 months or so. 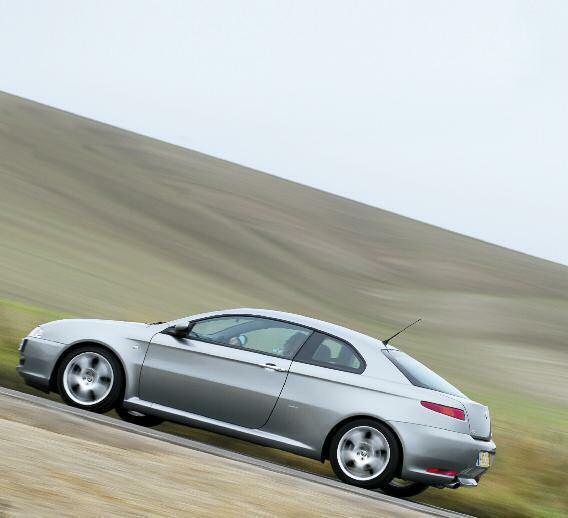 But during the early 2000s Alfa’s product planners realised that there was going to be a big wait before a significant new model arrived after the launch of the 147 in 2000, and before the 159’s arrival in 2005. The challenge was to find a way of producing something saleable that could leapfrog the 159’s arrival, and not cost fortunes to develop. Lucky for Alfa, then, that coachbuilders Bertone, anxious to fill its Turin factory with a replacement for the soon to be terminated Punto Cabriolet, came up with a proposal for the Alfa Romeo GT. Of course, Alfa was already making a coupe in the GTV, but a major drawback with that car, apart from its increasing age, was its compact cabin and meanly dimensioned boot. So Bertone devised a coupe with space. It took the platform of the 156 saloon and left its wheelbase unaltered, bestowing it with an unusual amount of room for a coupe, elegantly distinctive proportions and the bonus of a big boot. But the really clever bit was to update the ageing 156 platform with 147 components, which besides modernising the car’s innards, also reduced development costs. So 147 parts are plentiful in the make-up of the GT, and include the front wings (from the now defunct GTA), the bonnet save for some detailing, the front bulkhead, the steering column, the pedal box, the heating ventilation system and most of the dashboard. And while that might seem a fine recipe for a mongrel, the result was anything but, the GT possessed an individual style that was in no way compromised by using parts never originally intended for this particular product planning mission. The result first appeared six years ago, and though it’s clearly ageing the GT still has distinctively stylish appeal. It remains in production, though with a more limited range consisting only of 1.8 and 2.0 petrols and two versions of the 1.9 JTDm diesel, all of them sold as Cloverleaf limited editions. 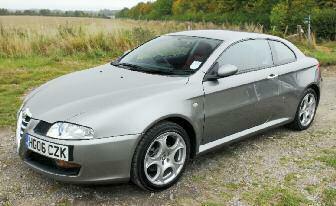 But today it also makes quite an alluring used buy, with plenty of used choices out there. Prices start from £5000 for a car with six figures on its odometer, but fresher examples with under 35,000 miles can be had for around £9000. Of our trio here, two of which are on sale with well-known Alfa specialist Black and White Garage, the 37,000 mile 2.0 JTS is £11,300, while the 2008 13,000 mile 1.9 JTD Cloverleaf with Q2 differential is £16,900, a useful saving on the £22,570 list price given that it’s little more than a year old. Our sample 3.2 – now obsolete, the V6 having been dropped – is privately owned and not for sale, but prices start from around £12,000. 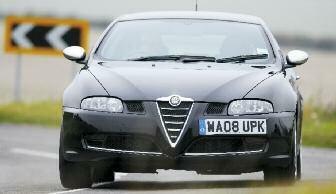 These versions are quite rare, only 447 being sold here during its 2004-08 life. 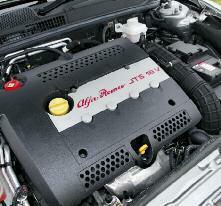 So which of these three engines is the one to go for, and what kind of a used buy does the Alfa GT make? Let’s start with a fundamental question – reliability. As most of us know, Alfa doesn’t always have the best reputation on this score, though the reality is better than pub talk will tell you, and the GT is better still with virtually nothing to worry the cautious buyer. According to the helpful James Wheeler at Black and White Garage, the GT is largely free of troubles. The only non-service components requiring regular attention are suspension bushes, those of the front wishbone and the anti-roll bar susceptible to wear, just as they are on the 156 and 147 with which the GT shares much suspension hardware. 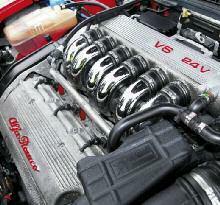 But unlike these two the coupe does not have an unfortunate history with timing belt failures, or much else. The big tailgate can leak slightly and has a habit of squeaking in its aperture, but regular silicon spray silences that, as it does twittering front seatbelt buckles. The 1.9 diesel can have problems with the exhaust gas recirculation valve (EGR), the V6 has quite a heavy clutch that gets heftier with miles and as the need to replace it approaches, and you need to be disciplined about replacing the JTS’s cam-belt. 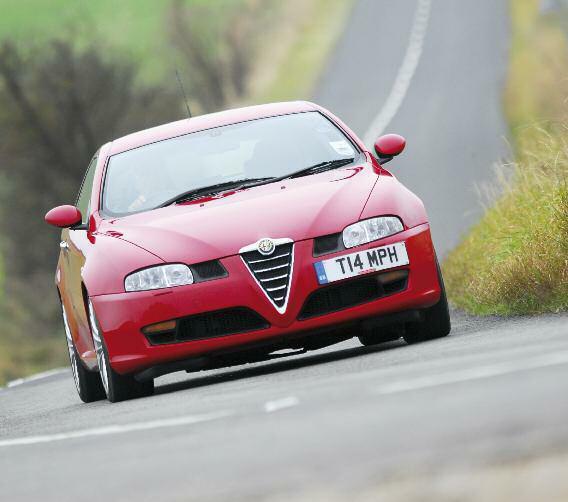 But these Alfas are more reliable than the 916 series GTV and Spider, says Wheeler, and though this might seem like a longish list, there’s little here to worry about. And there’s a lot more going for the Alfa GT besides its infrequent appearances on the flatbeds of recovery trucks – and we’re talking practicalities rather than aesthetics, too. This Alfa is rare among mid-size coupes for genuinely being capable of housing four adults, and for a reasonable distance too if they’re not so tall that their hair hits the headlining. There’s room for a fifth occupant if pushed, the boot is unexpectedly big and the rear seats fold to provide enough space for a moderately ambitious furniture mission. There’s a skihatch, too. Despite beginning to look dated the GT cabin remains inviting and classy, especially if it comes trimmed in red or tan leather, and the stylish dashboard looks busy enough to intrigue. The seats don’t feel terrifically comfortable at first, but you mould to them with time, and enjoy a tolerably good driving position. It’s not as right as a BMW’s, but it’s good enough. The 165bhp 2.0 JTS presents you with white-faced instruments and a five-speed box rather than the sixspeeders of the JTD and V6 – and a sweet-spinning twin cam four. It pulls with reasonable vigour all the way to the danger point, a quality you must exploit if you’re to get the best of this engine, which demands diligent work with the gearbox to have a hope of maintaining station with the other two cars here. Their chief distinguishing feature against the JTS is effortlessness, both engines mustering enough torque that you can be lazy with the transmission and still get along briskly. The 150bhp 1.9 JTD is a fair bit more vocal than the best common rail diesels of 2009, but the noise it makes certainly isn’t unpleasant and it’s very effective, delivering enough low-down wallop to make this GT a pleasingly brisk device in give and take traffic. You can make it charge a little bit harder if you press the ‘sport’ button on the centre console, which releases another 20bhp, although it’s pretty hard to detect the difference – torque is really what this engine is about and there’s enough of that to provide it with a more effortless gait than the 3.2 V6 at low to moderate speeds. That’s especially true if you short-shift the 240bhp 3.2 V6, but a decent head of revs soon reveals a car swift enough to make you think carefully about how fast you’re bearing down on the next corner. The 3.2 makes a creamier, more cultured sound too, even if these sounds are nothing to the mellifluous warblings issued by this engine when it was a 2.5 litre and installed in the Alfa GTV6. But it revs fairly decently, and with six speeds you have the leverage to make this car go pretty hard, as you’d expect given a 6.7sec sprint to 62mph. 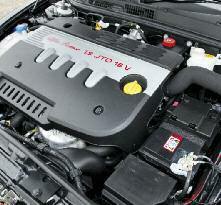 The 2.0 JTS, by contrast, needs 8.7sec for this blast, the diesel 8.2sec. But like every one of this trio, the V6’s age is betrayed when you get to a corner. It’s a slight feeling of imprecision that does it, the steering seeming too light, the nose of the car a little uncertainly planted, though this feeling gets no worse, and sometimes even diminishes, when the effects of the Q2 differential come into play. This particular V6 has had a Q2 diff added, and for a very reasonable £600, and its effect is to steady the car and quell its urge to understeer. But even this diff can’t banish the feeling of mild nose-heaviness that you sense in this bigger engined GT. Best balanced of the trio is the 2.0 litre, even though it does without Q2 equipment, because it has the lightest powerplant here, but it’s the Q2-kitted JTD that serves the most confidence in bends. You can press it that bit harder, and it’s quickest to recover post-bend momentum with all that low-rev twist action. 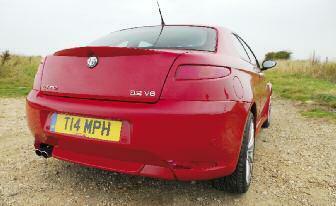 And the JTD is, of course, the most economical of our trio, and by some margin against the V6. Yet it’s hard not to be tempted by the 3.2, which makes the best noise, provides the most straight-line drama and presents the most alluring eyeful when you open the bonnet and see that glinting echelon of highly polished inlet pipes. Open the lids of the other pair and the view is attractive, but partly because the engine bays are layered with decorative shielding. The 3.2’s relative rarity makes it all the more tempting, too. Good sense however, points to the 1.9 JTD as the soundest choice here, especially if you plan plenty of miles. That doesn’t make the petrol powertrain an option to be avoided however, the 2.0 litre being sweeter, keener and more engaging than plenty of similar engines from other manufacturers. But its character is less strong in this company. 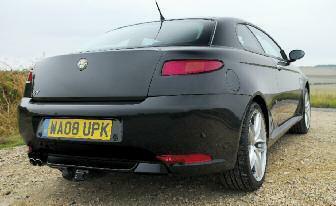 The powertrains, styling and packaging remain the Alfa Romeo GT’s strongest draws in secondhand form, as they are with a new example, but it’s pretty difficult to make a case for this car against the more modern alternatives from Audi and BMW – it’s simply off the pace in dynamics and refinement terms. 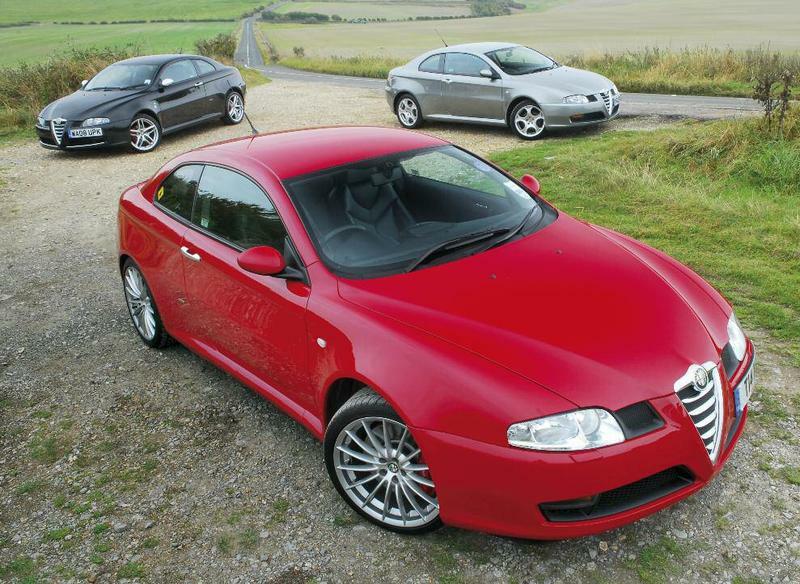 The picture’s different secondhand however, as it so often is with Alfas, their steeper depreciation curves usefully altering their price-value ratios. All of which makes the GT quite a tempting used buy, and an unusual one – especially given its sound reliability record.